UGreen SATA 15P Male to Female Extension Cable 0.2M is used to extend the SATA power supply, connects a computer power supply with Serial ATA HDD, SSD, optical drives, DVDB burners and PCI cards. 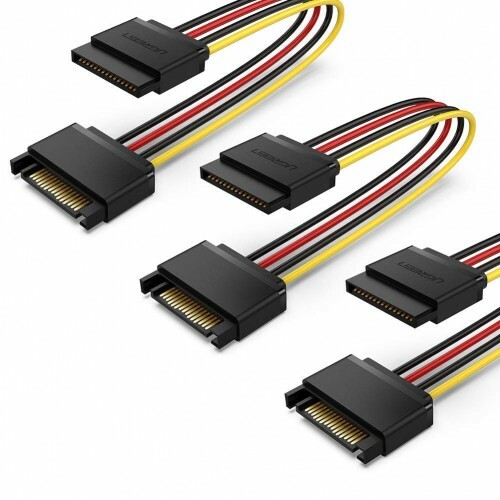 With this 3 Pack SATA extension cable you can directly connect or extend an existing SATA cable. In this cable 18 AWG SATA extender cable provides multi-voltage compatibility with 5V and 12V voltages between SATA drives and power connectors without sacrificing performance.Flexible SATA extension cable eliminates the need to bend or strain the SATA cable to compensate for lack of space. 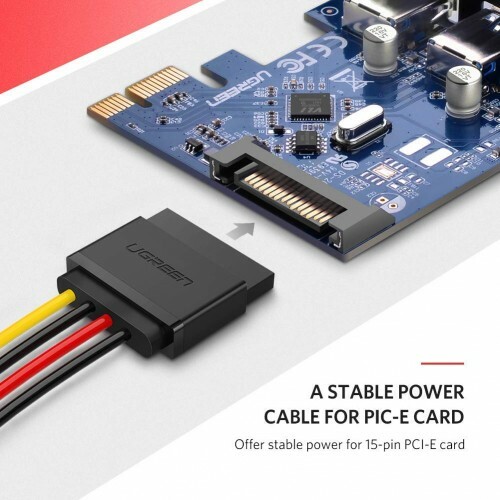 It simplifies installation of the drive by overcoming typical connection restrictions and reduces the risk of damage to the drive or motherboard SATA connectors because the cable no longer needs to be strained or stretched.When replacing the power cord, the power must be off and hot swap is not supported. 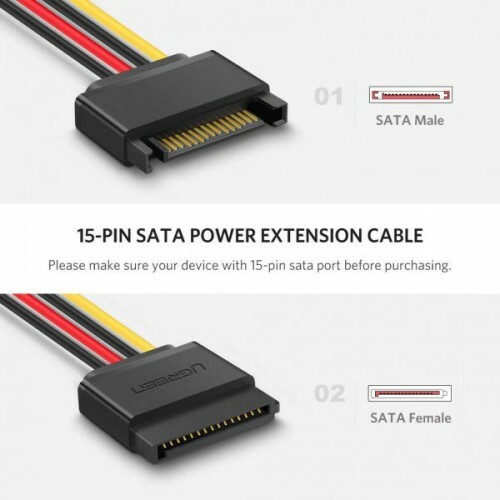 This Sata 15P Male to Female cable is widely compatible with Sata, Hard Drive Disk, Optical Drive, SSD, PCI-E Cards and other devices with SATA 15 pin Connector. We offer 18 months warranty and 24 hour customer service always at your disposal.